Goodwin Champions is a product that contains a wide array of different sports within it. As a fan of many sports, it's a fun product to open. A lot of collectors shy away from this product for that exact reason, though. Multi-sport products have traditionally had a hard time getting a wide range of collector interest. I guess it just isn't focused enough. But I buy it! 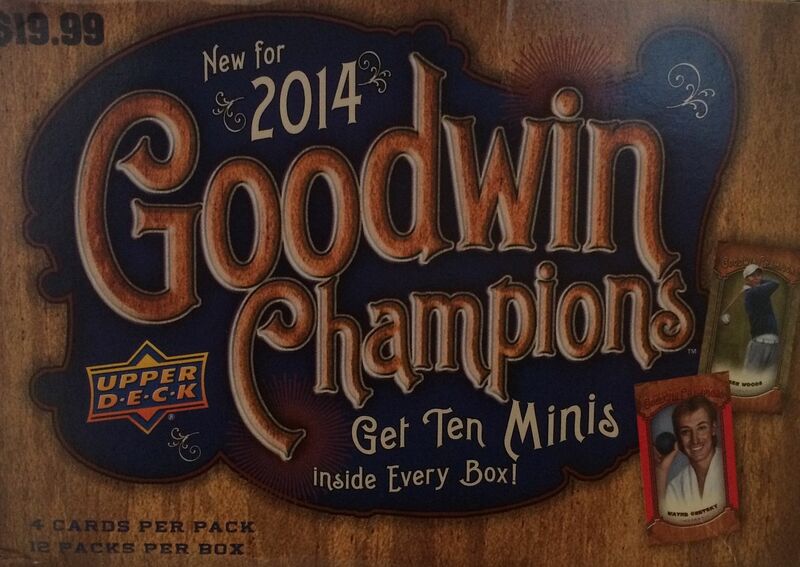 Every Goodwin Champions box offers a decent break in terms of the amount of packs you get to open. These blasters contain 12 packs so it'll last longer than some of the other products I've been opening recently - like Certified for instance. Unlike Certified, these blasters are very difficult to get hits out of. Hits are possible, but they are hard. To make up for that fact Goodwin offers 10 mini cards per blaster. That's definitely a lot of minis as compared to previous years of Goodwin. 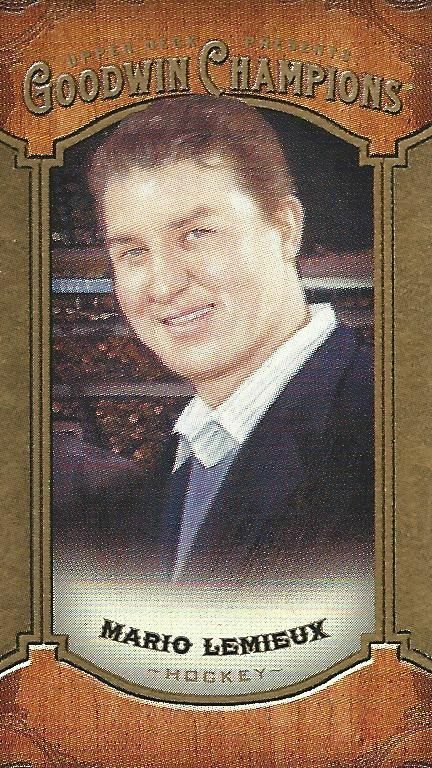 Mini cards have seemed to be popular for Upper Deck as they have included them in numerous products these past few years. I think mini card popularity has been mixed, but they keep on coming... so there must be demand for them from... somewhere. As expected, there were a variety of personalities found in this blaster, as well as a number of mini cards. It was a lot of fun looking at all the fun pictures that were on the cards. Goodwin Champions always has an eclectic variety of pictures. This is certainly a unique looking set, and that's probably one of the reasons I'm so attracted to it as I appreciate sets that have a different look to them. Unfortunately, I didn't get a hit in this blaster. I did get a bunch of mini cards though including a few green Lady Luck backs. I really think it would be awesome if some of the parallel cards were truly difficult finds... that would really help with the values of these cards and make for a fun challenge when collecting them. But that's not my decision. 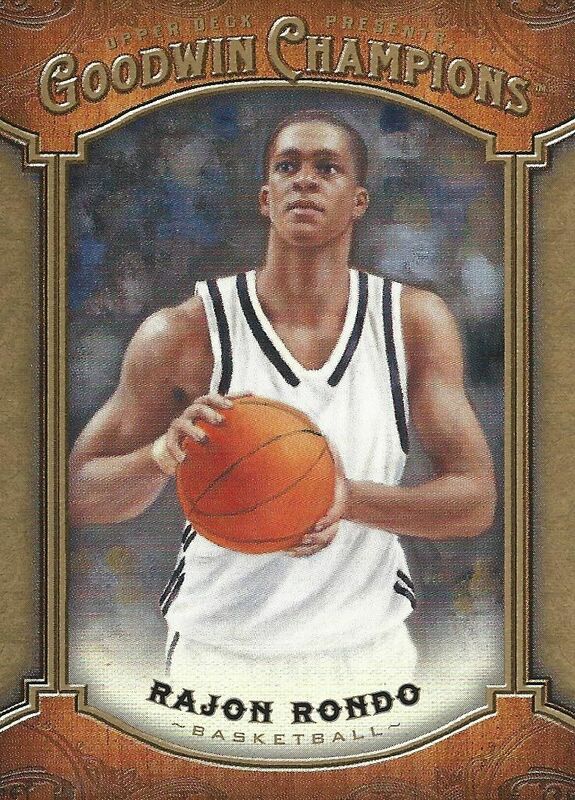 I remember Coshise and hearing about him as a young kid, so pulling this card was kind of a trip down memory lane for me. 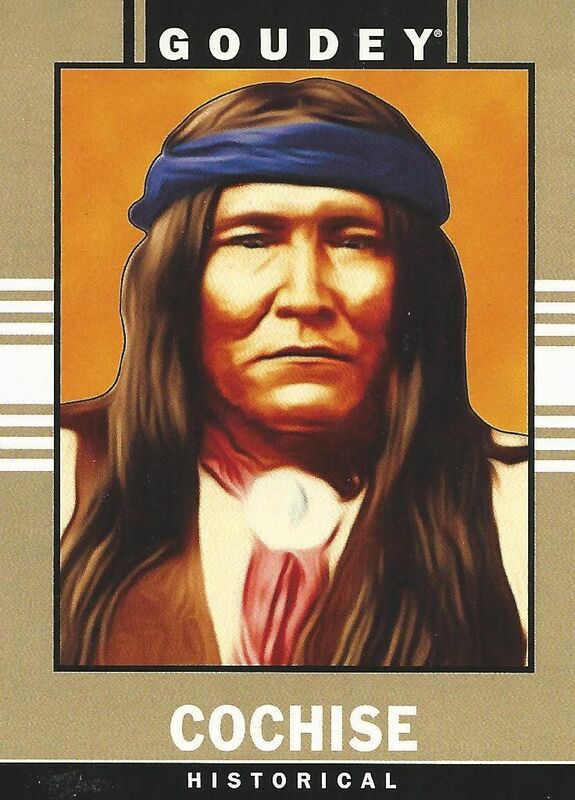 Only in products like this would you find a card featuring Coshise. Upper Deck is always reaching! Rondo has quickly become one of my favorite players on the Sacramento Kings. He has very high basketball IQ and is a terrific point guard. I don't think he has any Kings cards so far, but this one is cool in that he's in a white uniform rather than Celtics green. Super Mario is always nice to pull out of packs. This was by far my favorite mini card from the break, and a unique Mario card compared to others I have in my card collection. This blaster gave me exactly what it guaranteed it would and nothing more. Though I enjoyed this break I definitely didn't net any real value from it. This break was purely just for fun. Sometimes breaks like this can be nice though. And that's why I get them.